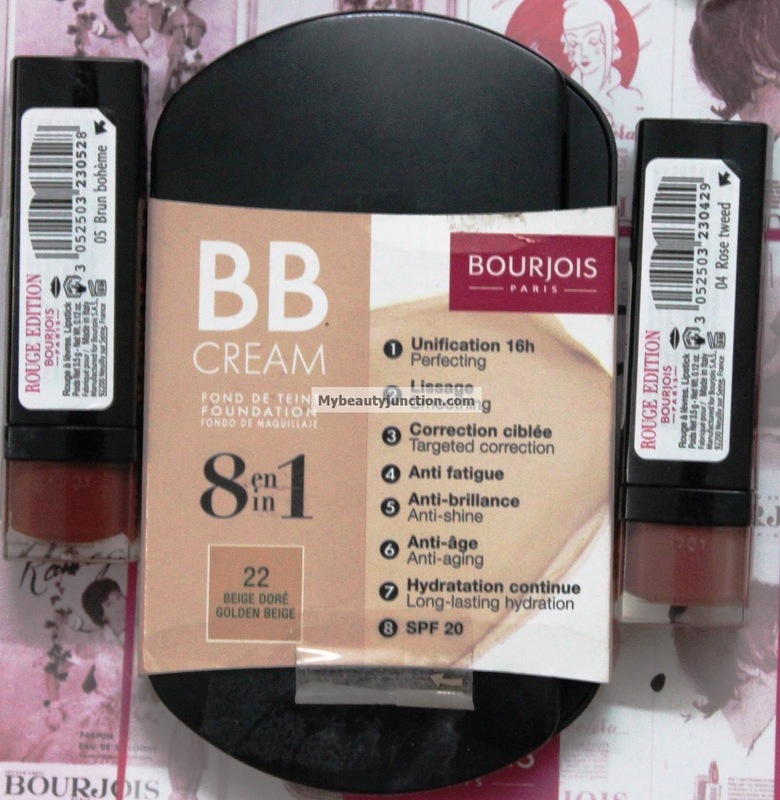 For some time now, I have been thinking about getting the Bourjois 8-in-1 BB cream compact. I'm not a BB cream person after trying out quite a few of them; I prefer the decent coverage of a foundation. But this was a compact, and, more importantly, this was Bourjois. So I asked a couple of bloggers and decided to go for it. I've used it only twice and am loving it already. I shall review it in detail, once I put it through a reasonable trial period. There are only four shades available, but apparently they adapt to different skin tones. This is 22 Beige Dore or Golden Beige, which should suit anyone medium, from NC 30 to 42, according to the SA. Along with this, I saw the new Rouge Edition lipsticks and swatched them. When I wiped off the swatches from my forearm, I was surprised to find there was a pretty stain. 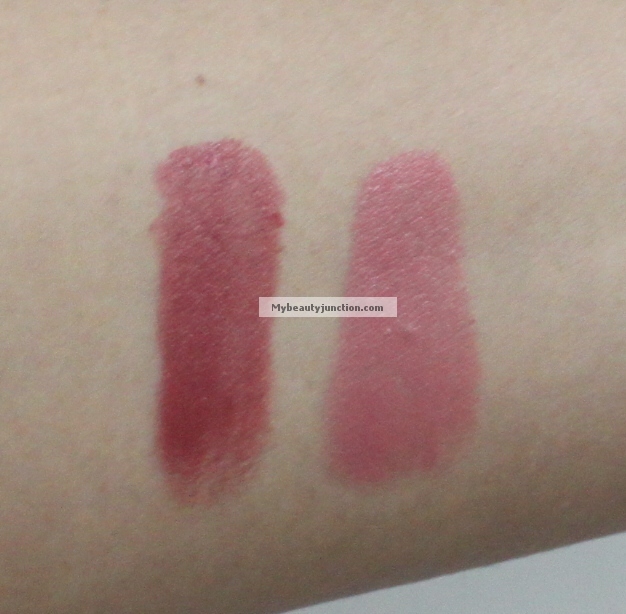 So I picked up two of the lippies - in Rose Tweed, which is an everyday dusty pink, and Brun Boheme, which is more red than brown, but is more subtle on the lips than in the swatch. Love these! 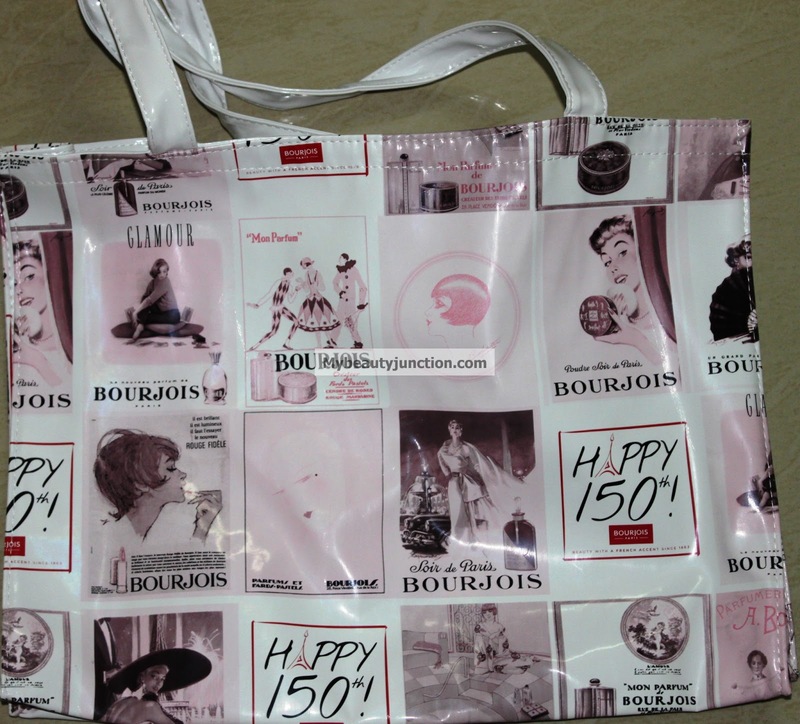 As a gift with purchase, the SA gave me a 150th Anniversary Edition shopping bag. It is vinyl, but ideal to keep in the car when you quickly pop into the supermarket. 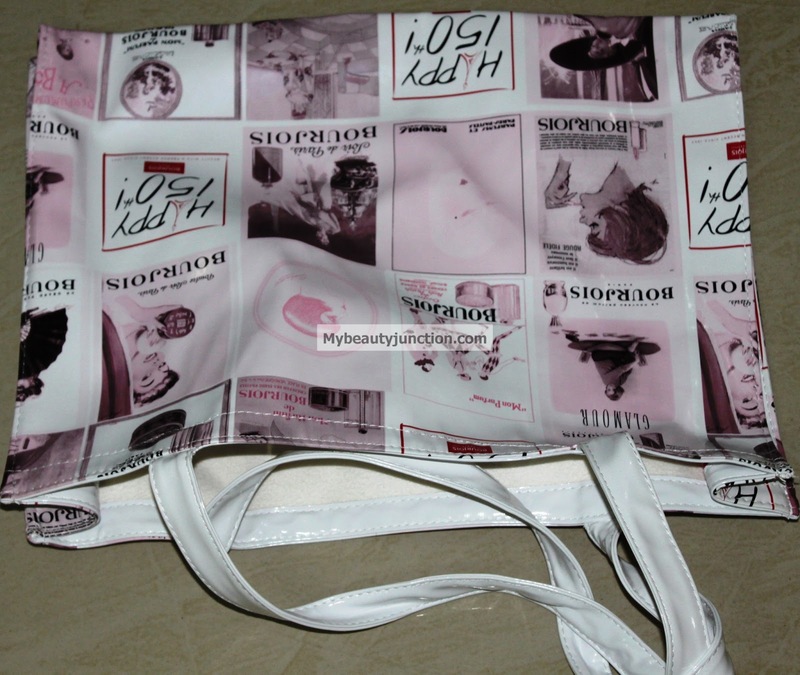 It is generously sized and will be used! As I was finishing up at Bourjois, the SA at the Max Factor counter was looking at bit forlorn (excuses, excuses). 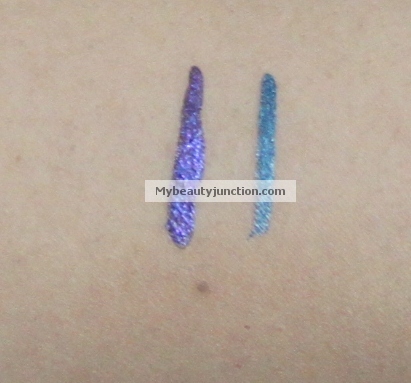 So I saw these gorgeous liquid eyeliners - in Metallic Lilac and Metallic Turquoise - and had to have them! I see more teal than turquoise and more purple than lilac in these, but, as Shakespeare said (though O.P.I. proved him wrong), what's in a name? I've been looking for a drugstore dupe for YSL's Touche Eclat and the Bourjois concealers have been my answer so far. 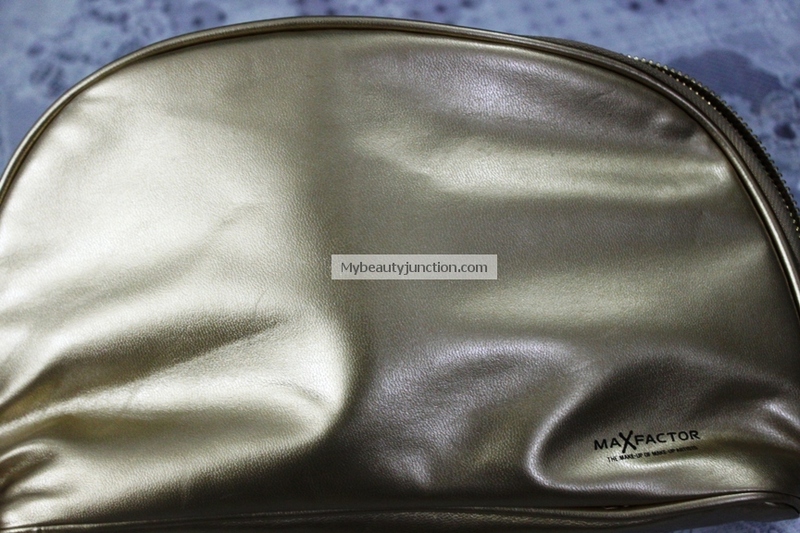 But I decided to try the Max Factor Mastertouch after I liked the swatch. I shall let you know how I get along. 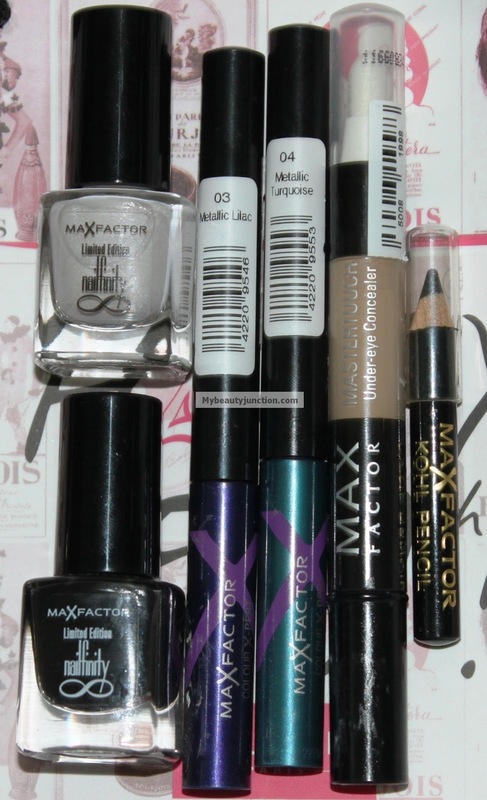 I got some decent gifts with purchase from Max Factor as well - a tiny Kohl pencil, which is now in my travel bag, two mini nail polishes in black and white, and a decent-sized makeup pouch. The mini polishes are good for stamping, so I can put away Liquid Leather.